CDV - 93rd OHIO INFANTRY - TRANSFERRED TO VRC - Image of Pvt. December 2, 1861 and was commissioned into Co. I on August 10, 1862.
smudges but otherwise in very good condition. CDV - 36th INDIANA INFANTRY - Image of 1st Lieut. and Adj. Zene C.
Bohrer, 36th Indiana Infantry. He enlisted on October 29, 1861 as a Sgt. Nashville. Some light smudging otherwise very good condition. C. Bohrer, 36th Indiana Infantry. He enlisted on October 29, 1861 as a Sgt. carte is inscribed in period ink on the front 'Your Obt Servt / Robt. E.
as others. Some light smudging otherwise very good condition. CDV - 47th INDIANA INFANTRY - Bust image of Captain William M.
clipped corners but otherwise very good condition. CDV - 33rd ILLINOIS INFANTRY - Full standing view of Dennis E.
Dayton (probably a relative of James L. below) of the 33rd Illinois Infantry. photographer's back mark. Carte is in very good condition. mark. There is a period ink inscription on the reverse ' Asa S. Smith / Co.
image of William B. Barron, 13th Massachusetts Infantry - Boston, Mass. inscription on the front ' Yours Truly / Wm B. Barron / Co. F 13th Regt'. & fading on the image. reflection and is not in the image. light blue tinting to the trousers and with slight tinting to their cheeks. a reflection and not in the image An image out of the ordinary. reverse "G.B. Russell / 1st Lieut. 38th Mass". Very good condition. Winchester, Va., Cedar Creek, Va. and Fisher's Hill, Va., among others. Mass Vols". Very good condition with light stain on reverse. MASS. BATT. CAVALRY - Image of Assistant Surgeon George F.
the 38th as Asst. Surgeon and in 1865 became Surgeon of the 1st Mass. Assist. Surgeon / 38th Mass Vols". Very good condition. Mass". Very good condition with light smudge on reverse. 1863. 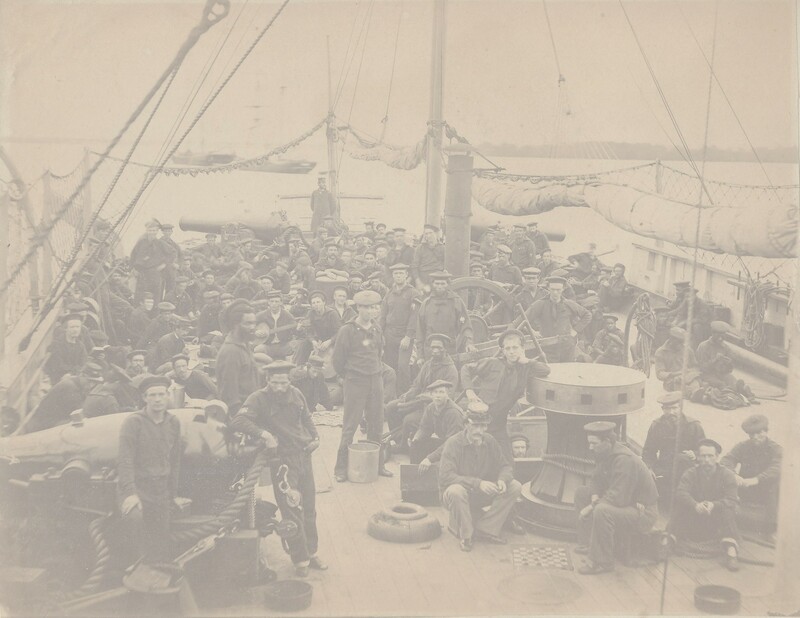 Image is ID'd from an identical image in the Civil War Data Base. Good condition but light in some areas. Daniel P. Cilley of the 8th New Hampshire Infantry. Boston, Mass. mustered out in January, 1865. His jacket shows the dark shoulder strap. in the CDV itself. Very good condition. CDV - 19th CONNECTICUT INFANTRY - KIA - Image of Elisha S.
the reverse. Oakes enlisted in July, 1862 and was mustered out July, 1865. Company A 2nd C.V.A.". Nice armed shot. Very good condition. CDV - 38th MASSACHUSETTS INFANTRY - WIA - 2nd Lieut. Vivian K.
Signed in period ink on reverse "V.K. Spear / 2nd Lieut. 38th Mass Vols". Good condition with light contrast on the image. good contrast on the image. defended. Carte does have several nicks on the edges. loaded with 2,300 Union POW's heading home to the north. War. Image is in very good condition and rarely seen for sale. as there are what looks like boxes strewn throughout the grounds.